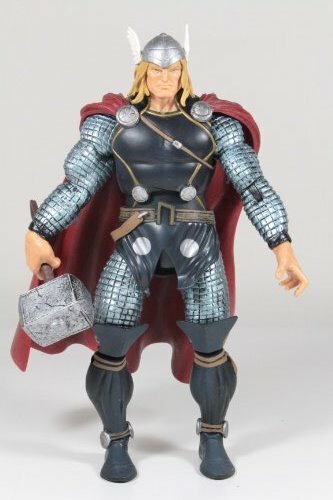 This heroic THOR figure is like no THOR figure you've ever seen! Get him into the fight! Figure comes with hammer accessory. Figure is brand new never played or displayed removed from a creased package. DOES NOT INCLUDE BUILD A FIGURE PIECE. ships immediately upon payment. SHIPPING IS FREE IN THE USA. Actual product shown.